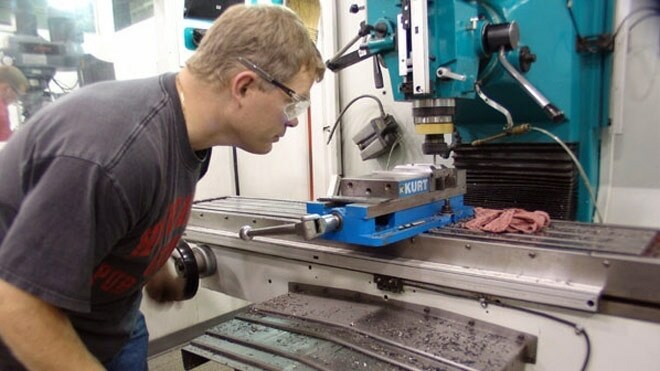 "Manufacturing" the Next Generation | KLH Industries Inc. The Next Generation Manufacturing (NGM) initiative, in part, originated with the leadership of the National Science Foundation, who coordinated with industry experts to build "a detailed vision of the future of manufacturing." Their vision, to paraphrase their 1997 NGM report, meant embracing the proper business ideology to be flexible in an ever-changing global market. In Wisconsin, the NGM initiative is less than one year old, but has received both statewide and regional support. Regional backing comes from the Milwaukee 7 (M7), an economic development coalition that represents seven of Wisconsin's southeastern counties. The M7 established the NGM Advisory Council to evaluate the goals and objectives of Next Generation Manufacturing within the region. KLH has embraced Lean Manufacturing since 2004, and in June of this year, made a significant commitment to reinforce Lean concepts throughout all areas of the company. Innovative manufacturing techniques not only allow KLH to reduce scrap and time, but also allow KLH to handle oversized and difficult jobs that other shops cannot. KLH currently markets worldwide, and has experience exporting to countries throughout South America, Africa, Europe, and Asia. KLH employees are encouraged to attend continuing education classes, and are frequently cross-trained between departments. KLH embraces NGM principles to developing a culture where the voice of the customer directs strategic planning, purchasing, and performance. Wisconsin manufacturing is changing, and KLH is proud to be a part of it.